How Involved Can an Agency, Officials and Employees Be in Local Elections? There’s a fine line public agencies, officials and employees walk between legally disseminating information and illegally advocating for or against a ballot measure or candidate. While both ballot measures and candidates can, literally, change an agency’s future, public agencies, officials and employees must be aware of the ways they can, and should, be involved in local elections. 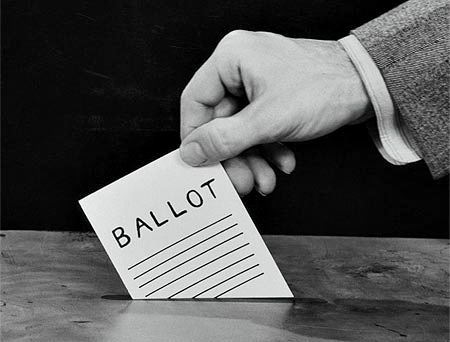 With the general election less than four weeks out, we look at what public agencies, officials and employees may do in local elections, as well as the laws and court cases outlining what they may not do. The informational activity is not prohibited by the U.S. Constitution or state law. The information provided is an accurate, fair and impartial presentation of relevant facts to aid voters in reaching informed judgements regarding ballot measures or candidates. It’s important to note that it’s not just public employees or officials who can get an agency in trouble, but also hired consultants, including election consultants. Additionally, Government Code section 8314 states it is unlawful for elected state and local officers, appointees, employees and consultants to use and/or permit the use of public resources — any agency-owned property or asset — for a campaign activity or other purpose that is not authorized by law. The first case, Stanson v. Mott, stems from a 1974 ballot measure in which California voters approved a $250 million bond issue for the future acquisition of park lands, recreational and historical facilities. A taxpayer suit was filed a day before the election alleging the then-director of the California Department of Parks and Recreation authorized the Department to spend public funds to promote the bond’s passage. The California Supreme Court said no “hard and fast rule governs every case,” and determining whether an election expenditure was advocacy or information depended on the “style, tenor and timing” of the material. This decision created a grey area in how agencies could inform voters about ballot measures. Stanson and Vargas provide that a public official can be held personally liable if they fail to “exercise due care” in authorizing the expenditure for impermissible activities. Plaintiffs may be entitled to attorney’s fees — an award that could be assessed directly against the public official. For the unlawful use of resources, section 8314 sets a civil penalty of up to $1,000 a day per violation and up to three times the value of the unlawful use. In egregious cases, Penal Code section 424 makes it a felony to misappropriate public funds. Backed by the First Amendment, there are generally no limits placed on what public officials and employees may say about a candidate or measure while on their own time and using private funds, which may include personal money and resources or valid privately contributed and spent campaign funds. While state law may require disclosures or disclaimers to be included in certain political advertising, the substance of the message is pure political speech. When engaging in political activities, though, public officials and employees must be mindful of the differences between their private and public time. Public officials and employees are generally prohibited from engaging in political activities during work hours — standard and overtime hours considered part of a required shift. They may, however, exercise their First Amendment rights to engage in such activities during non-work hours, including permitted lunch breaks, vacation, administrative leave days or public holidays when they are not working. Performing other campaign-related tasks, such as making copies, stuffing envelopes, etc. For officials and employees in uniform, state law prohibits political activity participation of any kind while in uniform, even if off duty. State law also bars officers, employees or candidates from appearing in, on, next to or to operate agency vehicles or equipment for political activities. Public officers and employees are also restricted from making promises to provide any person with a gift, money, promotion, job or other form of compensation in return for a contribution or vote. California law goes further still in prohibiting a public officer or employee from directly or indirectly soliciting political contributions from another officer or employee. This applies to all solicitations, even outside of an agency’s property. The law does allow for one exception: if the officer or employee solicits contributions from a “significant segment” of the public (in a mailer perhaps) in which other officers or employees of the agency are included. Violation of this code is a criminal misdemeanor. While public officials can generally urge citizens to be engaged, informed and to vote in an election, they should refrain from making advocacy statements about a specific measure or candidate during a city-sponsored meeting or event. During public meetings, officials may provide impartial, non-advocacy information to the public about a measure — but should be careful when commenting at length about a measure. Using the public meeting, which is provided using public funds, as a platform for political speech could be considered prohibited government-funded advocacy. Sigrid Asmundson is a public law attorney who provides general and special counsel services to local agencies on election law, economic development, affordable housing, land use and state mandates. Based in Best Best & Krieger LLP’s Sacramento office, she assists clients on candidate election procedures, ballot measures and litigating election challenges. Reach her at sigrid.asmundson@bbklaw.com. William J. “Jim” Priest represents public agencies as of counsel in Best Best & Krieger LLP’s Municipal Law practice group. Working in the firm’s Ontario office, he provides general and special counsel services to cities, counties and special districts on local elections, including: initiative, referendum and recall procedures, political reform and campaign finance. Contact him at william.priest@bbklaw.com.